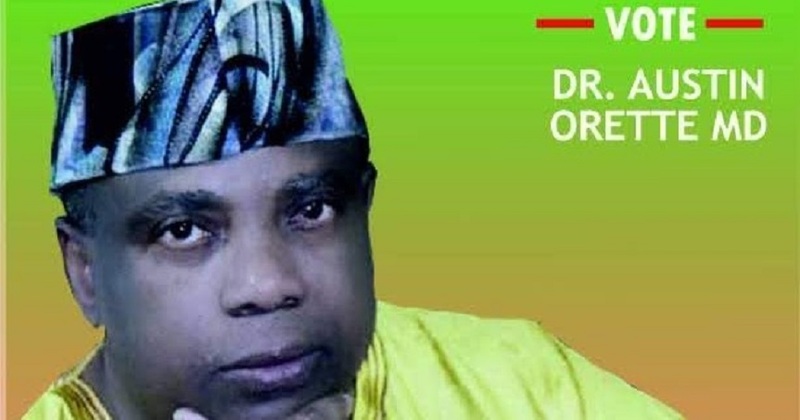 A senatorial aspirant on the platform of the All Progressives Congress (APC), Mr Austin Ovuigwerie Orette, has promised to attract federal presence and foreign investment to Delta South. He also promised to create better opportunities for the people. “Are the people much better now than they were eight years ago? Some of the aspirants belong to the past and bringing them back is like putting old wine in a new bottle” he said. Mr Orette spoke about his readiness to represent the people of Delta South and what he calls poor performance. “I’m in the race to free the people. I’m interested in solving problems. I’ll be Delta South Senator in 2019. I need to serve the people,” he said. He also spoke on the issue of zoning in the senatorial district. “You don’t zone what you don’t have,” he added. Giving an insight into his blue print, Mr Orette said he would spread the dividends of democracy to all nooks and crannies of the senatorial zone. “Politics is about service. It is about empowering the people and developing the area. It is not about accumulating wealth,” the graduate from the Medical School of the University of Nigeria said. He promised to focus on security, health care, economy, education, infrastructure and youth employment. Mr Orette is not kidding about his aspiration. Mr Orette accused the tycoons of the People’s Democratic Party (PDP) of shutting down the opportunities, starving the people and using stolen funds to enslave them. He called on the people to support his senatorial ambition. “Take your rightful place, choose the right people who will reconstruct what has been destroyed by some individuals in the state,” he said. He also praised President Muhammadu Buhari for sanitizing the system. By Modupe Gbadeyanka Inspector General of. By Dipo Olowookere The Kwara State.